Comments Off on Overreaching or Overtraining? Since 1989, Designs for Health has provided superior quality, research-backed nutritional products formulated by health care professionals exclusively for health care professionals. Designs for Health® is led by a committed team of nutritionally minded clinicians whose ultimate goal is to provide formulas that maximize the potential for successful health outcomes. Under their guiding philosophy, “Science First,” Designs for Health remains unwavering in their commitment to deliver efficacious professional grade products formulated with meaningful quantities of synergistic therapeutic agents. Designs for Health® utilizes a comprehensive evidence-based approach to research and development and strict GMP manufacturing standards ensure consistency, potency and efficacy of their nutritional supplements. Their wholly owned manufacturing division allows for optimized control over essential elements of production, including new product formulation, manufacturing procedures, and quality standards, as well as in-house testing to ensure products are free of heavy metals, pesticides, toxins, and microbials. 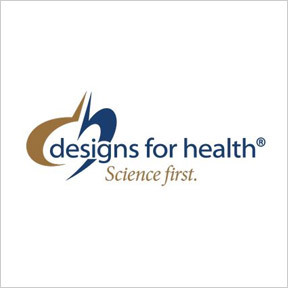 Designs for Health® is NSF GMP Registered, assuring the highest manufacturing standards for reliability and quality. Vitamin D Supreme with Vitamin K1 and K2: This synergistic formula supplies a clinically beneficial dose of highly bioavailable vitamins D3, K1 and K2 in support of optimal bone and arterial health, as well as the maintenance of proper immune system balance. Gluten free, GMP compliant, Non-GMO formulation. Homocysteine Supreme™: Formulated with specific B vitamins, synergistic nutrients, and a proprietary NatureFolate™ blend, this product helps to maintain an optimally functioning homocysteine pathway in support of numerous biochemical reactions. These include detoxification, neurotransmitter production, healthy immune function, joint and cartilage structure, and brain and cardiovascular health. Gluten free, GMP compliant, Non-GMO formulation. 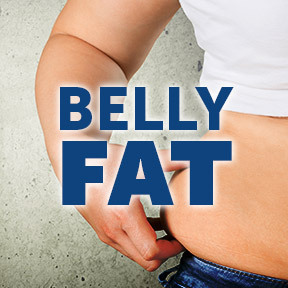 Magnesium Buffered Chelate: This highly stable and absorbable form of magnesium bisglycinate buffered chelate, as TRAACS®, provides 150 mg of elemental magnesium per capsule. Due to a patented process this form is less likely to cause unfavorable gastrointestinal distress than other magnesium forms. GMP compliant, Non-GMO formulation. Digestzymes™: This proprietary blend of digestive enzymes supports optimal digestion of proteins, fats, and carbohydrates, and provides specific enzymes to aid the breakdown of lactose, gluten, and casein. Gluten free, GMP compliant, Non-GMO formulation.